An airplane commissioned by one of Canada's largest national labour unions to fly over Parliament Hill while tugging an anti-Stephen Harper banner was ordered grounded by the RCMP over the weekend. The Public Service Alliance of Canada, which booked the plane to soar over Ottawa and Gatineau, Que., on Saturday, has complained the Mounties called for the plane to land because the message it carried was critical of the prime minister. 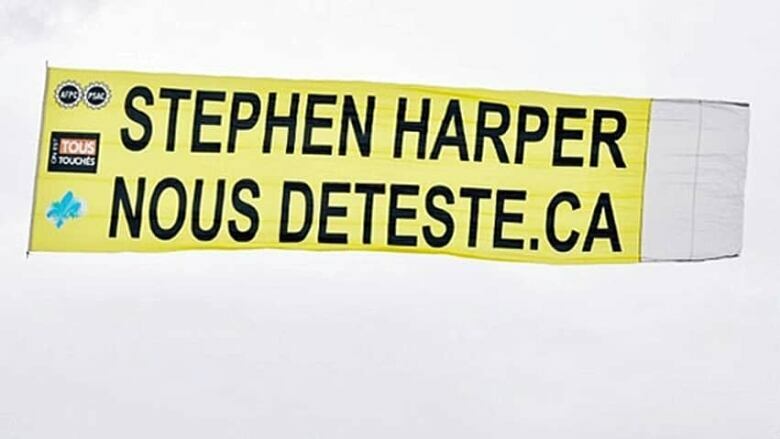 The banner, which was in French, read "Stephen Harper nous déteste.ca" (translated as "Stephen Harper hates us.ca" in English). Cpl. 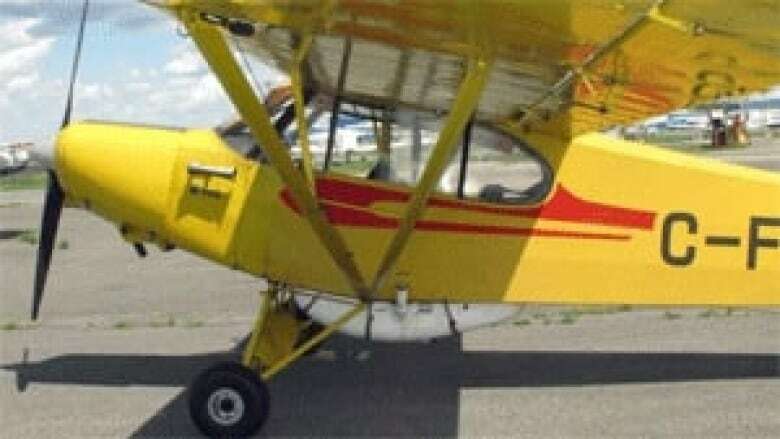 Lucy Shorey with the RCMP told CBC News it appeared the PSAC plane was flying in restricted airspace, and confirmed that the police force commanded the pilot to terminate the flight plan so that he could be questioned by officers. But in a release, the union denied the plane ever entered restricted airspace, saying "the pilot was fully aware of airspace restrictions in place in Ottawa and Nav Canada, Canada's air traffic control service, confirms that for the entire flight the PSAC-hired airplane remained outside the restricted zone." PSAC added that the plane had been making the rounds over Montreal and other Quebec communities for the past two weeks as part of its "We are all affected" campaign, which opposes public service job cuts. The union said it believes the RCMP decision to order the plane was made due to political reasons associated with the banner's message. "Had the RCMP been concerned about the plane's potential route, it could have easily communicated with the pilot via radio and sought clarification rather than ordering it back down to the airport," the PSAC said in the release.